Highly anticipated: Rockstar's latest epic, Red Dead Redemption 2, launched last month to widespread critical acclaim. However, despite the singleplayer campaign's high quality, fans are still eagerly awaiting its online mode. Fortunately, the wait will finally be over this week. Earlier today, reports surfaced that suggested Red Dead Redemption 2's online mode, appropriately dubbed Red Dead Online, would see its first Beta test sooner rather than later; primarily due to the mysterious appearance of several seemingly online-related game achievements. Now, those reports have been proven right. 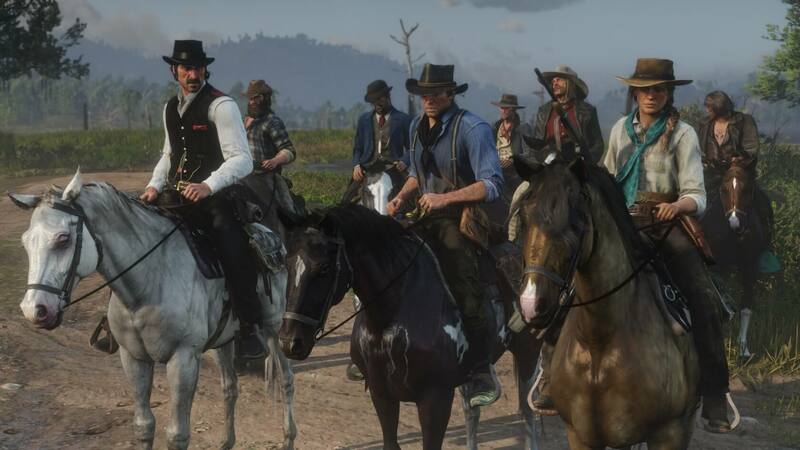 Rockstar has confirmed to Variety that Red Dead Online's official beta is launching this month, though the specific day you can get in will vary depending on how recently you've played the game. If you only played it on launch and during the game's opening weekend (October 26-29), you'll be able to test Red Dead Online on November 27, which is this Wednesday. If you've played the title more recently, though -- today, in particular -- you'll get access to the beta a day earlier, on November 26. Everybody else will be allowed in on November 28. This staggered beta release is likely Rockstar's way of reducing server load on launch; which may give its engineers time to catch with the massive amount of players Red Dead Online will undoubtedly draw in. For the unaware, Red Dead Online will be an entirely free addition to Red Dead Redemption 2. As long as you own the base game, you'll be able to jump right into the beta this week, creating your own character and exploring the world with your friends. Red Dead Online is set to blend the compelling storytelling we've seen in the singleplayer game with "cooperative and competitive gameplay options." Much like GTA Online, Red Dead Online will be a "live service," which most likely means you can expect regular content updates to drop over time, as well as some form of microtransactions.